Banners displaying TOTCO activities and products that we trade in. Totco grains & seeds prides itself on providing customers with the highest quality products of cereals and other food grains such as maize, soya, sorghum, simsim, beans and groundnuts . We endeavor to set the quality standards within our industry and provide our customers with timeliness in delivery, continuity in supply of high quality products all over the world. We want to be a partner in the long-term growth and success of your business. 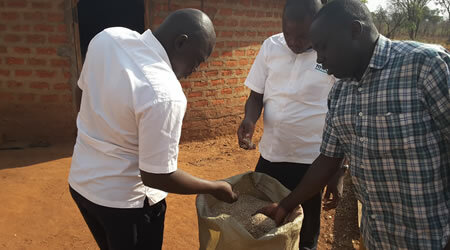 We love nothing more than working on grains and seed of quality to our clients. We care about our clients and can be found working out of hours to get everything 'just right'! As a company we have been trading since 2000. We love discussing and planning new projects and have years of knowledge and experience that we bring to the table.